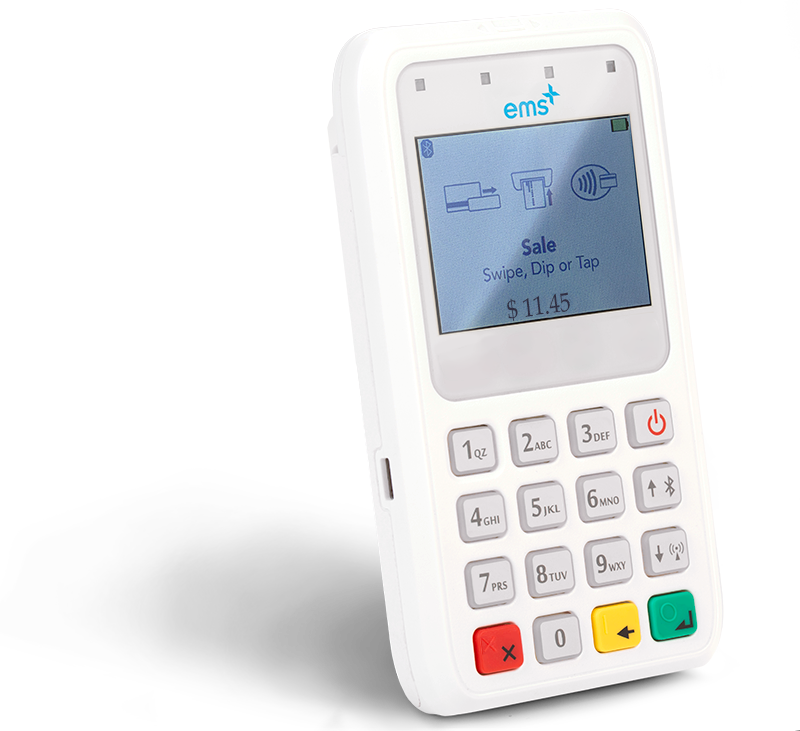 EMSplus™ is the simplest and most cost-effective mobile payment solution for any type of business, big or small. Enter an amount and process a sale or ring up multiple items in an order. 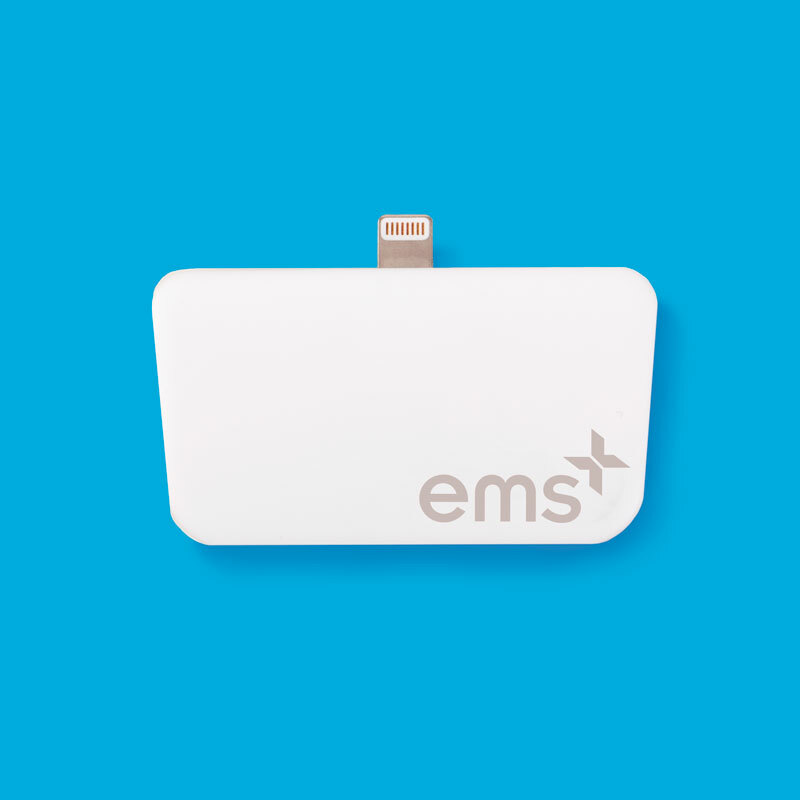 EMSplus makes it simple for you to get paid! 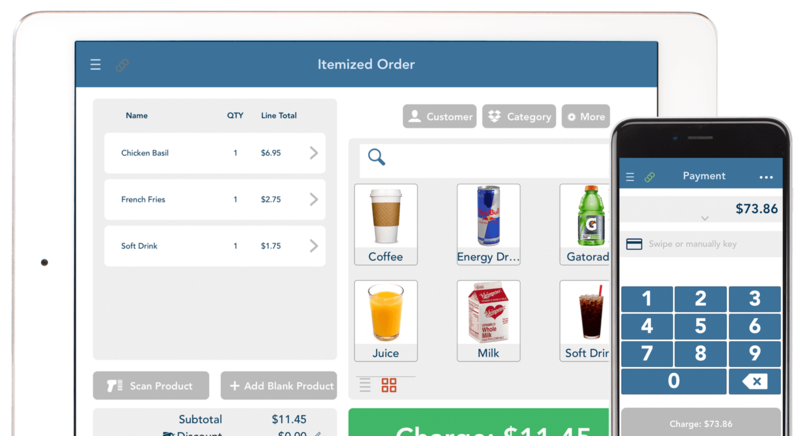 Enter an amount and process a sale or ring up multiple items in an order. 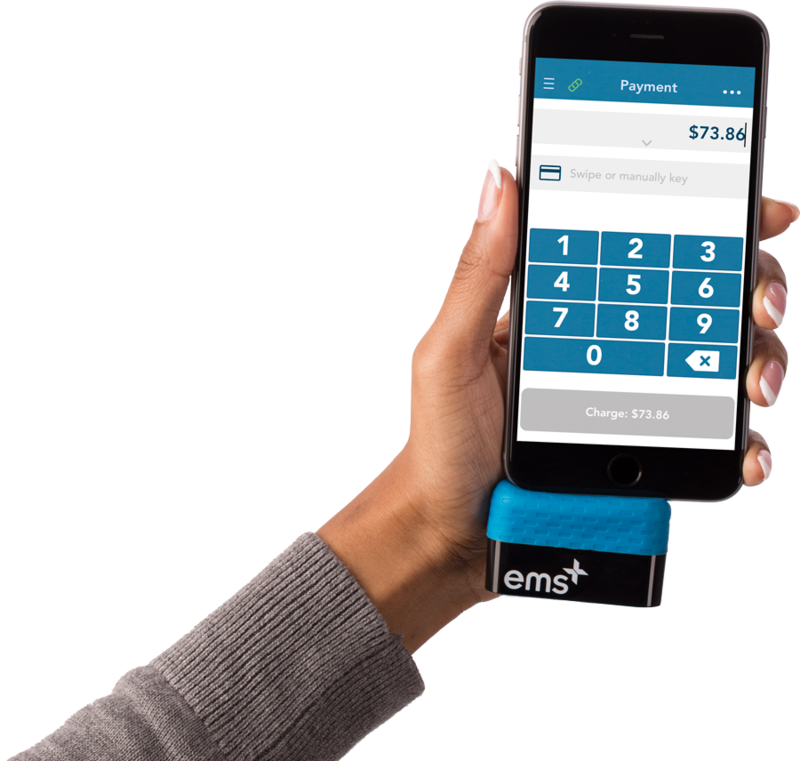 EMSplus™ makes it simple for you to get paid! Sign Up Today and Get this Free Mobile Swiper. 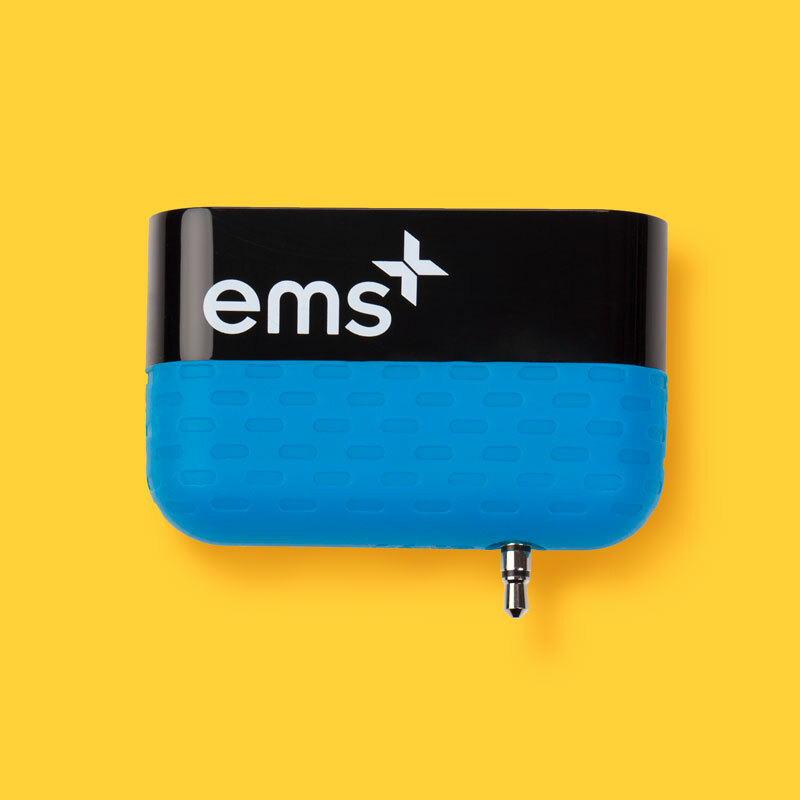 The EMSplus™ Free Mobile Swiper plugs right into your phone or tablet’s headphone jack, comes in a variety of colors and will enable payments on the go or at your POS counter. Interested in Chip and NFC Payments? We offer what the competition can't. 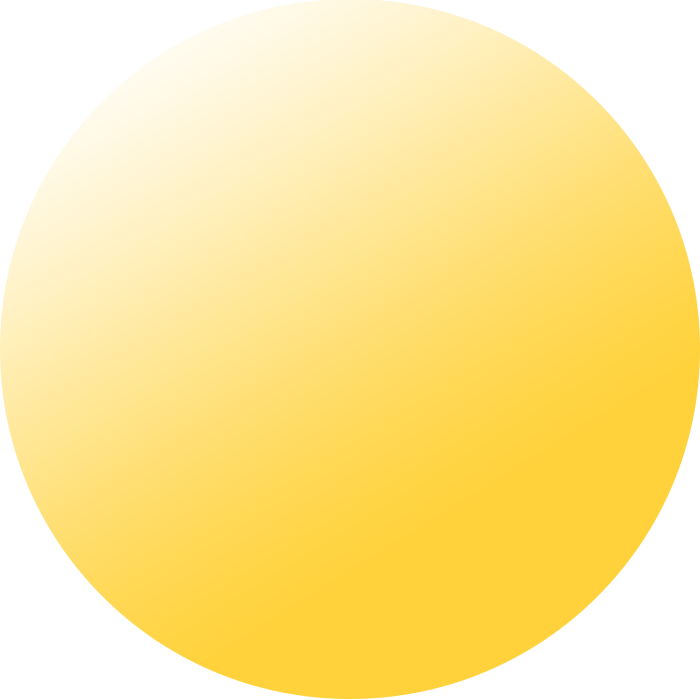 Square is a registered trademark of Square, Inc.
Paypal Here is a registered trademark of Paypal Holding, Inc.
No more chasing clients for checks. Let your clients pay you online and get paid quicker. 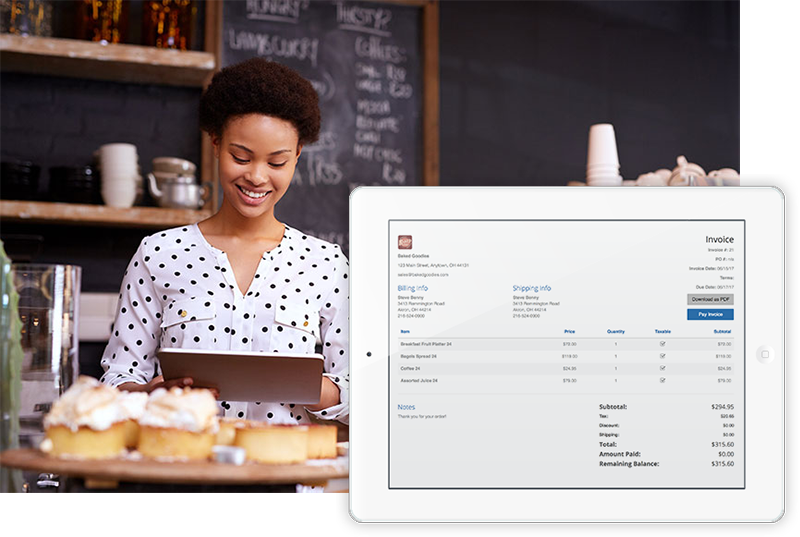 EMSplus™ allows you to increase your business agility by sending out personalized invoices. Fueling small business has been our passion for over 25 years. 24/7/365 support is always there for you. We know how demanding a small business is, so we make support easy as pie. We don’t mess around when it comes to keeping your data protected. We are a PCI Level 1 Service Provider that is built upon security. 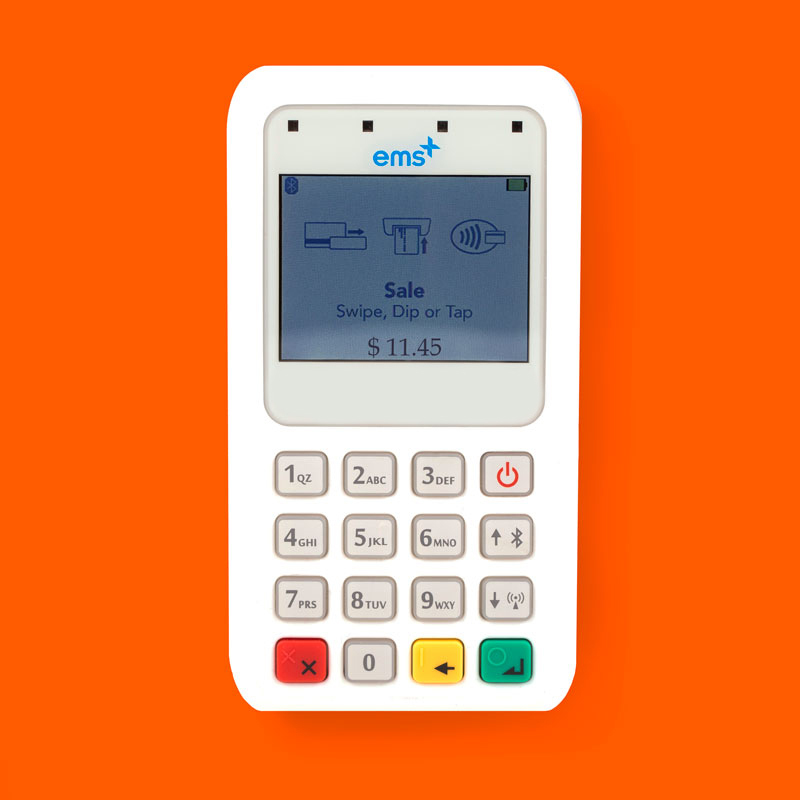 EMSplus™ has always specialized in helping small businesses grow. Our payment solution is easy to use and helps you focus on your business. It only takes a few simple steps. What are you waiting for?